Last year, Disney decided to go ahead and remake Pete’s Dragon, presumably because dragons are pretty hot right now. Today Variety reports that human child Oakes Fegley has been cast as Pete in the music-less “straight narrative” version of the 1977 film. 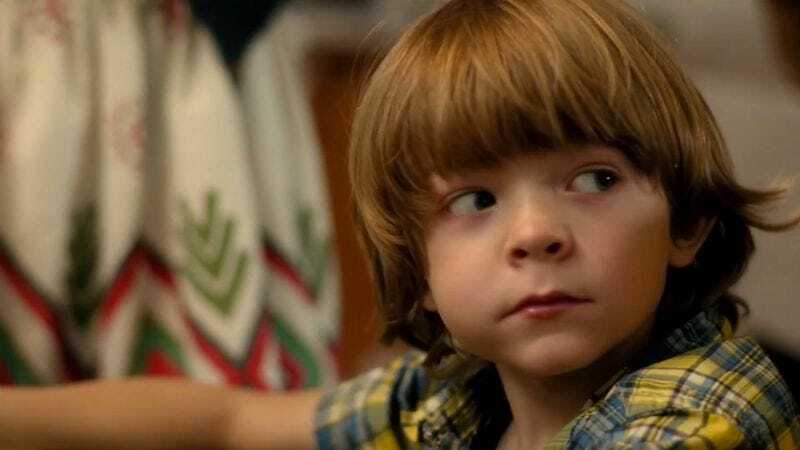 Fegley recently starred opposite Michelle Monaghan in Fort Bliss, and has played younger versions of Jason Bateman and Shea Wigham (Eli Thompson) in This Is Where I Leave You and Boardwalk Empire, respectively. A new character has also been added to the remake, Broadway actress Oona Laurence, who will play the role of Pete’s friend, Natalie. The 12-year-old received Tony Honors for Excellence last year for her shared titular role in Matilda The Musical. Both Laurence and Fegley will be starring opposite a CGI version of Elliot the dragon, whose voice has yet to be cast.